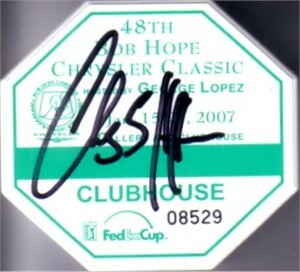 Original 2007 Bob Hope Chrysler Classic admission badge autographed by Charley Hoffman, who won his first PGA Tour title at this event. ONLY TWO AVAILABLE FOR SALE. Obtained in person, with certificate of authenticity from AutographsForSale.com.